But research on HIV has not stalled in the responsible Unit Immunopathology AIDS Health Institute Carlos III (ISCIII) of Madrid and coordinator of the Network of AIDS Research opinion, since in the last year ” Giant technical progress has been achieved that will allow the application of treatments in real life at a reasonable cost, “says the expert in an interview. For example, he explained, it has been shown that using a complex of three bound virus envelope proteins in place of a single protein in a vaccine produces a more effective immunizing effect. “Generating trimeric vaccines – three conjugated proteins – represented a huge cost a year or two ago and yet a methodology is being achieved that makes it economically viable,” says Jose alcami. It is because the complexity of HIV makes it possible that, although there are already antibodies that have been shown in monkeys to protect and help cure, the ability of the virus to reproduce variants resistant to those antibodies makes them “ineffective enough” Already in the market and treat patients, “laments the biochemist. The ideal prototype of antibody is one that gets to the target of this virus that is very skilled at hiding by having generated a series of mechanisms that allow it to form a shield and elude the action of antibodies. Another challenge is to get these antibodies, in addition to traversing the structure of the virus and recognizing the great diversity of viral variants, have enough strength to block it and for that you must recognize the proteins of the viral surface with a great power. Generating these antibodies that block most variants of HIV and with sufficient force is a process that the immune system performs and, in the case of HIV, needs at least two years. However, to generate such antibodies against other viruses such as Ebola or zika the agency spends only a few weeks. This “slowness” of the system is due to the complexity of the AIDS virus and gives it an advantage that the immune system will not be able to recover. Steps that mark a road map that was implemented about ten years ago, “When we saw that everything was being done was useless and we stopped using prototypes that did not work. At that time many researchers, from the laboratory, decided to take a step back and find out how the virus works, the structure of its proteins, the mechanisms of entry, the immune response of infected patients and especially identify really effective antibodies, understand their Properties, manufacture them”, he says. A few years in which knowledge has been generated about what type of vaccines are needed and in which it has progressed technically to be applicable when they exist. In the scientific opinion, the HIV vaccine “will be much more complex than those that already exist against any other virus , ” like the flu vaccine which includes only two variants. This is because the ease of the virus to be modified quickly requires having to use different prototypes. “That is to say, in the case of the HIV vaccine, the rapid evolution of the virus makes vaccination difficult because one or two injections are not enough, not even three or four, but at this time we would have to do many injections at very high Defined and with different proteins, “he explains. The research group headed by Dr. Jose Alcami in the laboratory Retroviruses National Microbiology Center is integrated, among others, by Drs Nuria Gonzalez and Maite Perez Olmeda, vaccines, and Eloisa Yuste, antibody, and is part Of the Spanish AIDS Research Network and participates in the European Initiative for the Vaccine of Aids whose commitment is that at least one prototype of preventive vaccine and two therapeutic have test results in humans before 2020. In the laboratory of the ISCIII they are also developing new prototypes of preventive vaccines based on founding viruses, those that are more effective in transmitting and founding a new “infectious colony” in a patient. “Due to the variability of HIV, an infected patient may have ten thousand different variants of this virus, but at the time of transmission, when a contagious sexual relationship occurs, the subject is not infected by several variants, only one, Which is the so-called founding virus, “says Alcami. “A hypothesis that we have been working for years,” he added, “is to make a vaccine to protect against this type of virus founders,” another of the objectives in the European 2020 project. The complexity of HIV has also made trials in ISCIII with gels vaginal barrier method such as HIV have failed in macaque females and thus have not passed the test phase in humans. “The power of the microbicide tested is not enough and we will have to develop and test other derivatives of the same molecule,” says the scientist. 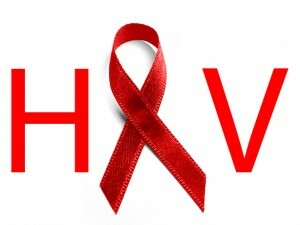 Test and error, the method of all research that seems to be more present in the case of HIV, a virus with which live 36.7 million people in the world and that has killed 35 million since the beginning of the epidemic makes more According to the latest UNAIDS data.